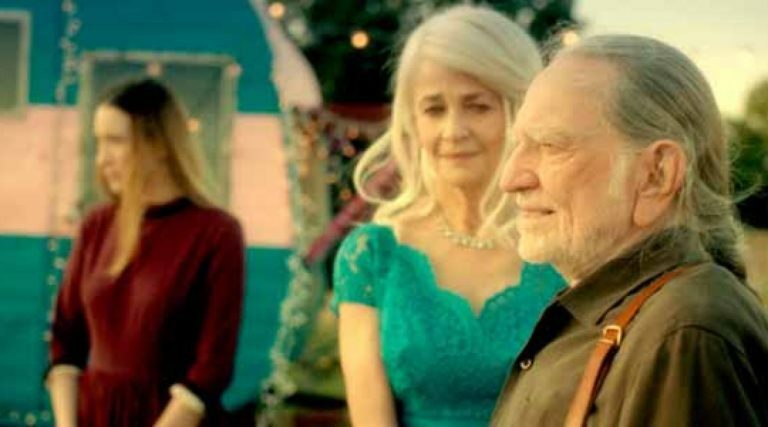 “Waiting for the Miracle to Come” was written and directed by Australian filmmaker Lian Lunson and stars Willie Nelson and Charlotte Rampling. 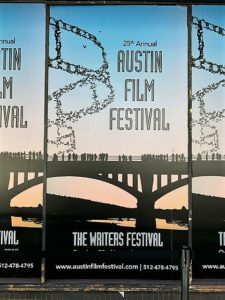 It will be screened at the Austin Film Fest on Sat. October 27 and Monday October 29. Great news! 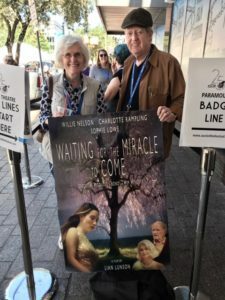 The movie”Waiting for the Miracle to Come” starring Willile Nelson, Charlotte Rampling and Aussie Lowe will be screened at the 2018 Austin Film Fest on October 27th. “Waiting for the Miracle to Come” was filmed last year at Willie Nelson’s “Luck, Texas”, an old west film set located on Willie Nelson’s ranch outside of Austin. 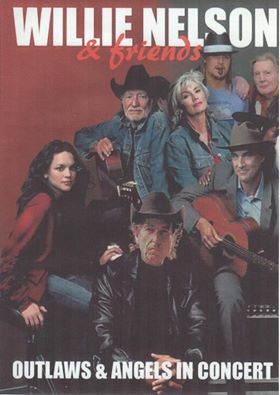 The movie set was originally created in 1986 for the filming of Willie Nelson’s movie, The Red Headed Stranger. Luck has been the site of other movie videos and movies and private concerts and fundraisers. 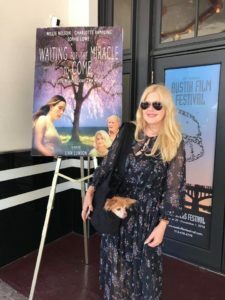 Written and directed by Australian filmmaker Lian Lunson, Waiting for the Miracle to Come is about a young girl, played by fellow Aussie Sophie Lowe (Beautiful Kate, Adore), who finds a letter from her late father directing her to a goldmine in a remote area of the California desert. 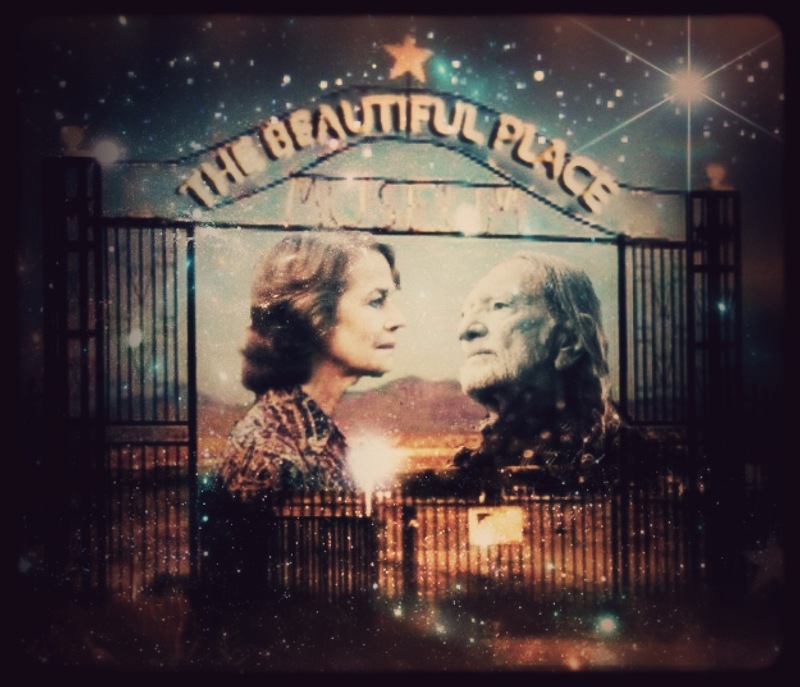 That’s where she meets two retired vaudeville stars, played by Nelson and acclaimed British actress Charlotte Rampling (Stardust Memories, The Duchess). In their talks, the couple enlightens the girl, an aspiring trapeze artist, to findings more valuable than gold. 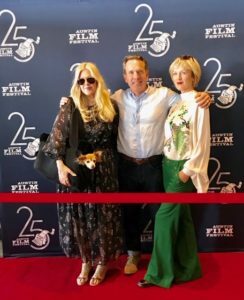 Joining Lunson on the film’s six executive producer credits is legendary U2 lead singer, Bono, who will also write a song for Nelson to sing on the movie’s soundtrack. 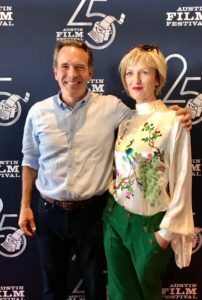 Lunson has a history with both musicians: She wrote and directed the 1997 documentary, Willie Nelson: Down Home, and she featured Bono in her 2005 documentary, Leonard Cohen: I’m Your Man. 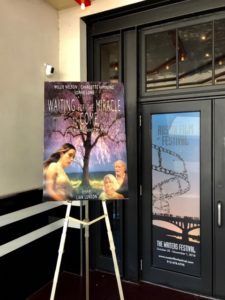 (In fact, Waiting for the Miracle to Come is titled after Cohen’s haunting ballad, “Waiting for the Miracle.”) Nelson and Bono’s pairing is a reunion decades in the making. The rock star wrote “Slow Dancing” for the country crooner back in 1989. They also recorded the song together for U2’s 2011 Duals album. Great news! 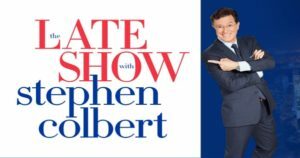 Willie Nelson will perform on the Late Show with Stephen Colbert this next Wednesday, on CBS about 10:30. 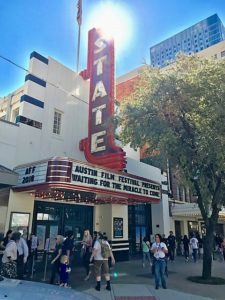 Enter to win chance to go to Star is Board Premier in LA – Lukas Nelson in film! 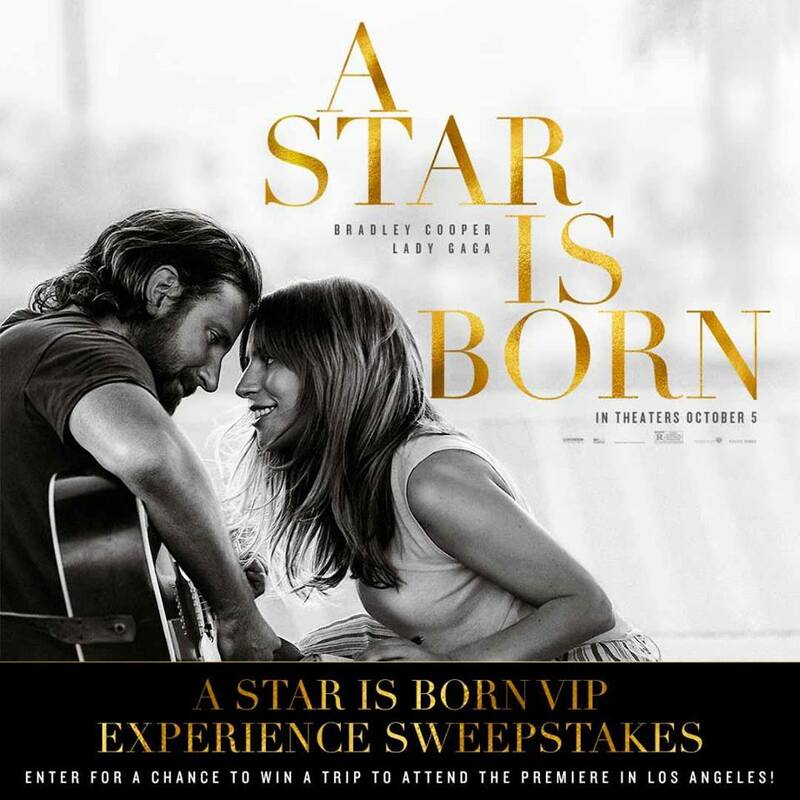 Enter for a chance to win a trip to Los Angeles to attend the premiere screening of A Star is Born! 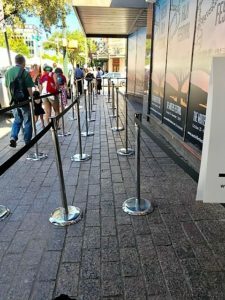 One grand prize winner and a guest will win 2 tickets to the screening, roundtrip airfare, 3 nights Hilton Hotels & Resorts accommodations, makeup by Blushington, a $200 cash card, and a $500 Ticketmaster gift card. 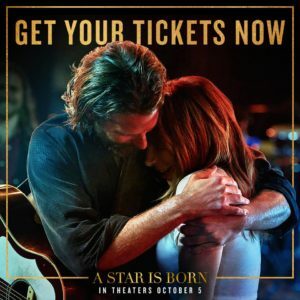 See #AStarIsBorn in theaters October 5th!